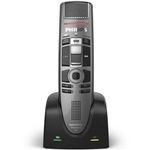 Olympus Professional Dictation devices provides optimal dependability and reliability and offers a stable platform for the use of integrated solutions that are ideally suited for healthcare-related organisations. As a major dictation technology provider, Olympus recognises how critical information security and efficiency are to the healthcare industry. 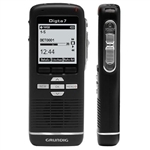 Healthcare professionals may be particularly interested in the Olympus DR-2300, DS-5000 and the DS-5000iD with the use of the SC1 optional barcode scanner. 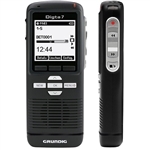 Equipped with 8GB internal memory and push button/ trackball operation... Professional Dictation made simple and stress free - a fast and easy switch to digital dictation.